I became aware of Alon Nechushtan from his work with what I would call "avant garde klezmer" outfit Talat and was extremely excited about what Nechushtan would do as leader. He is a talent and in-demand musician who has worked all over the globe with festivals and musicians as diverse as Roy Campbell, Chris Speed, Marc Dresser among others. The work he has done on his debut, Words Beyond (Buckyball Records) is simple. He has deliver an album of real invention, originality and clarity that should catch the ear of most jazz listeners as this record gets out to more people. With the obvious influences circling this session, Monk, Jarrett, Bley, etc. I tend to notice Uri Caine more in the flexibility of the compositions and Nechushtan's own performance on Words Beyond. There is a playful nature between the trio on the first two tracks "Muppet Shock" and its successor, "Different Kind Of Morning". Both display an elegant, joyful and quick witted Nechushtan creating some intense patterns as the excellent Weiss and Moutin follow with a deep one, two's of improvised moments. Lovely interplay especially throughout "Different Kind Of Morning." On my current favourite track on the album "Dr. Masterplan", Nechushtan illustrates some complex arrangements but his play is so high-paced that you are immediately sucked into the rhythm and a journey that is buoyant and accessible. 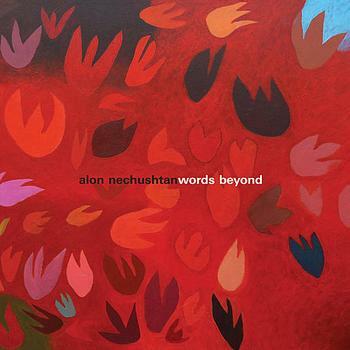 The complexity and cleverness of Alon Nechushtan's writing does remind me of the earlier straight ahead jazz albums of Uri Caine (or his Moloch record for the Tzadik label). They can be complex in composition but yet still mesmerize even the newest of jazz fans. I feel this way on "Spring Soul Song" and "Heartbreakthrough". The first having more of an upbeat and sometimes staccato moments but overall moves the listener with a sense of adventure. The latter is a more a traditional ballad in which Weiss and Moutin both are raised to forefront with superb performances. Weiss adds a gentle wash to discussion while Nechushtan and Moutin both give real emotional impact with their interchanges. Words Beyond is a stellar debut from a composer and musician who is reaching new heights with every recording session and performance. If you haven't listened to Alon Nechushtan already, I highly suggest you start now. Highly Recommended. Be Lee...Alon Nechushtan from JMJProductions on Vimeo. this is a beautiful musician man.